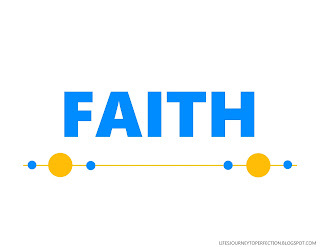 Life's Journey To Perfection: LDS Sharing Time Ideas for August 2015 Week 4: Miracles come to those who have faith. 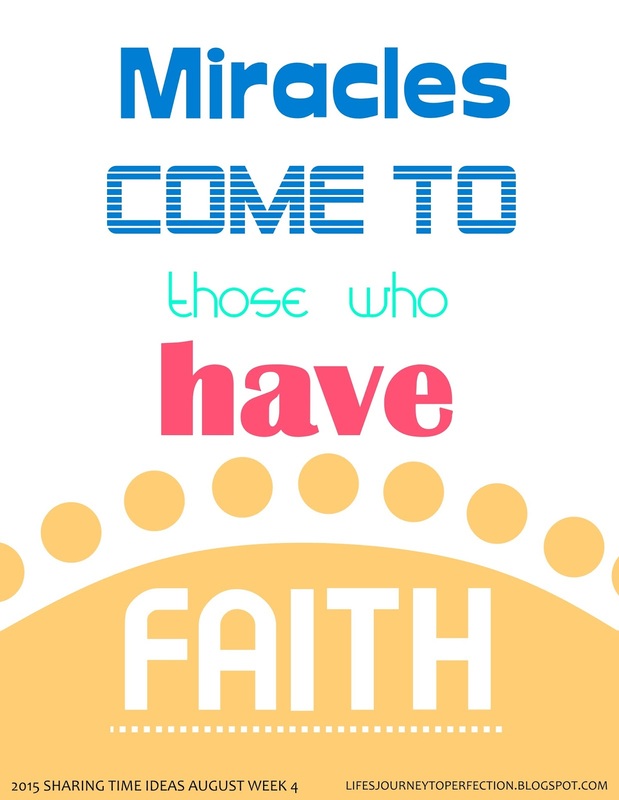 LDS Sharing Time Ideas for August 2015 Week 4: Miracles come to those who have faith. 2015 Sharing Time Outline Theme: "I Know My Savior Lives"
August 2015 Scripture: “For behold, I am God; and I am a God of miracles; … and I work not among the children of men save it be according to their faith” (2 Nephi 27:23). 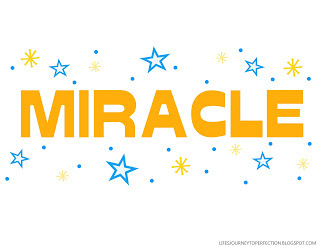 August Week 4 Topic: Miracles come to those who have faith. 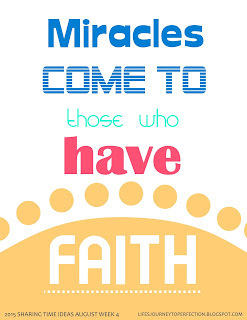 Begin by inviting two children to come up and hold the signs that say, "Faith" and "Miracle". 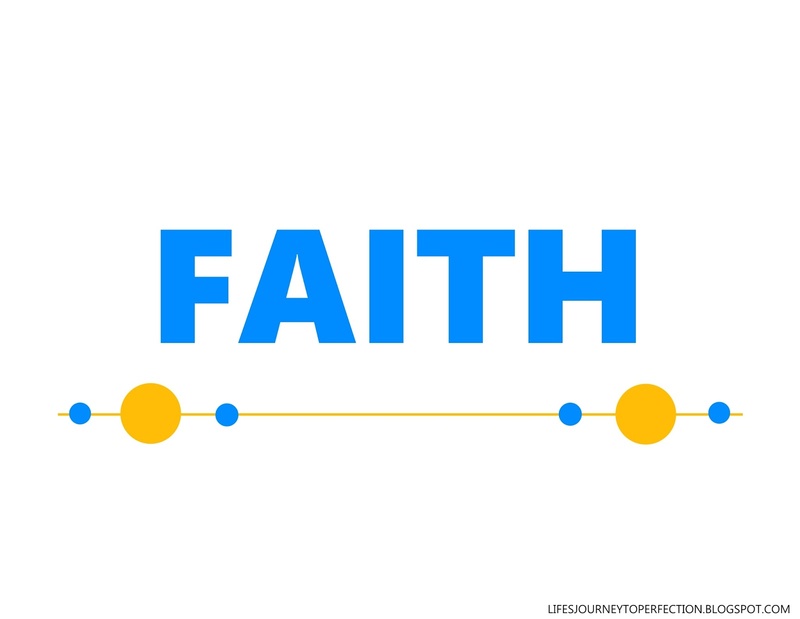 Invite the primary children to explain to you what faith is. Also, invite them to explain to you what a miracle is. Ask the children, "Which comes first? Faith or the Miracle? 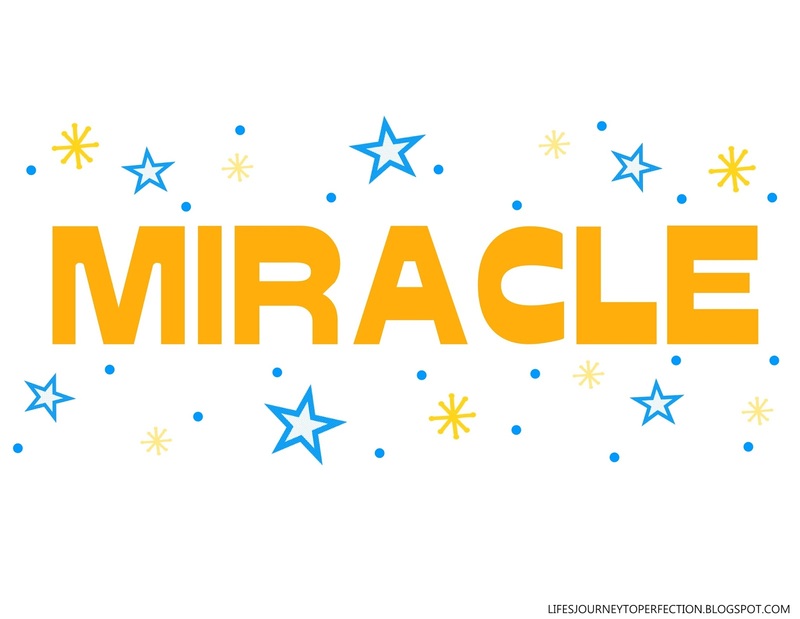 Place the theme poster on the board and invite the primary children to repeat with you, "Miracles come to those who have faith." "Faith precedes the miracle. It has ever been so and shall ever be. It was not raining when Noah was commanded to build an ark. There was no visible ram in the thicket when Abraham prepared to sacrifice his son Isaac. Two heavenly personages were not yet seen when Joseph knelt and prayed. Hold up the following pictures and invite the children to help you tell the stories. Ask questions like: "Who can tell me what happened in this picture?" Discuss with the children, How Faith was shown. And what miracles came because of faith. When you have finished with all of the pictures and if time allows, share an experience where faith preceded a miracle in your own life. Also invite the primary children to share their experiences. Close by sharing your testimony on faith. Love your lessons! I was able to use this and change it just a little bit (I have a small primary, so they like a lot of opportunities to "do" things). I have small kids so I was able to find a toy to represent for each story that the kids will pull from a bag. A boat for Noah, a Lion for Daniel, A tree for the grove in the first vision, an angel for Abraham, and a glove for Brother of Jared (this one was a stretch, but we will make it work, ha ha). Seriously, thanks for all the time and effort you put into your lessons!